Identify the three components of getting your message across to others. Distinguish between the interactional models of communication and the transactional model of communication. Explain the three principles discussed in the dialogical theory of public speaking. As noted earlier, all of us encounter thousands of messages in our everyday environments, so getting your idea heard above all the other ones is a constant battle. Some speakers will try gimmicks, but we strongly believe that getting your message heard depends on three fundamental components: message, skill, and passion. The first part of getting your message across is the message itself. When what you are saying is clear and coherent, people are more likely to pay attention to it. On the other hand, when a message is ambiguous, people will often stop paying attention. Our discussions in the first part of this book involve how to have clear and coherent content. 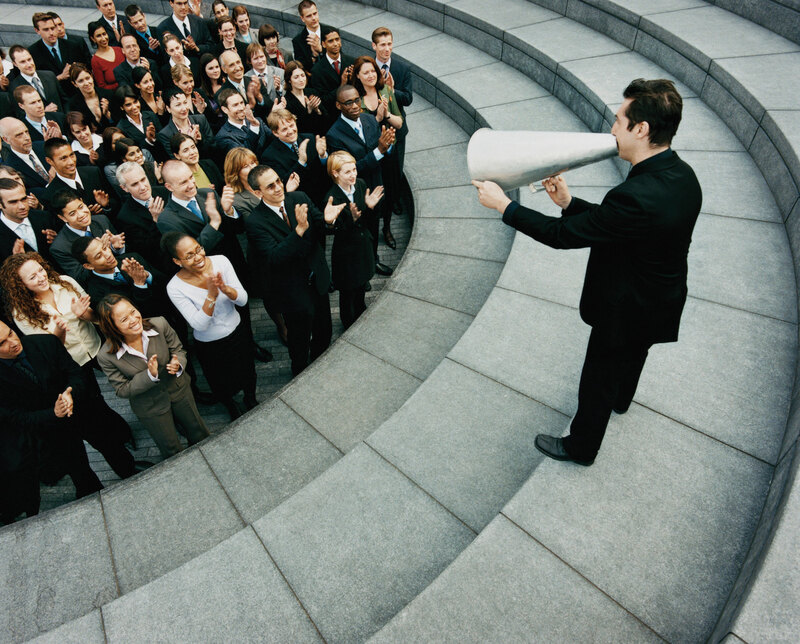 The second part of getting your message heard is having effective communication skills. You may have the best ideas in the world, but if you do not possess basic public speaking skills, you’re going to have a problem getting anyone to listen. In this book, we will address the skills you must possess to effectively communicate your ideas to others. Lastly, if you want your message to be heard, you must communicate passion for your message. One mistake that novice public speakers make is picking topics in which they have no emotional investment. If an audience can tell that you don’t really care about your topic, they will just tune you out. Passion is the extra spark that draws people’s attention and makes them want to listen to your message. In this section, we’re going to examine the process of public speaking by first introducing you to a basic model of public speaking and then discussing how public speaking functions as dialogue. These models will give you a basic understanding of the communication process and some challenges that you may face as a speaker. A basic model of human communication is one of the first topics that most communication teachers start with in any class. For our focus on public speaking, we will introduce two widely discussed models in communication: interactional and transactional. The interactional model of public speaking comes from the work of Claude Shannon and Warren Weaver.Shannon, C. E., & Weaver, W. (1949). The mathematical theory of communication. Urbana, IL: University of Illinois Press. The original model mirrored how radio and telephone technologies functioned and consisted of three primary parts: source, channel, and receiver. The sourceThe person(s) who originates a message. was the part of a telephone a person spoke into, the channelThe means by which a message is carried from one person to another (e.g., verbal, nonverbal, or mediated). was the telephone itself, and the receiverThe person(s) who takes delivery of a message. was the part of the phone where one could hear the other person. Shannon and Weaver also recognized that often there is static that interferes with listening to a telephone conversation, which they called noise. Although there are a number of problems with applying this model to human communication, it does have some useful parallels to public speaking. In public speaking, the source is the person who is giving the speech, the channel is the speaker’s use of verbalThe use of words to elicit meaning in the mind of a receiver. and nonverbal communicationAny stimuli other than words that can potentially elicit meaning in the mind of a receiver., and the receivers are the audience members listening to the speech. As with a telephone call, a wide range of distractions (noiseAny internal or environmental factor that interferes with the ability to listen effectively. Some of these factors are physical, psychological, physiological, and semantic.) can inhibit an audience member from accurately attending to a speaker’s speech. Avoiding or adapting to these types of noise is an important challenge for public speakers. The interactional model of communication developed by Wilbur Schramm builds upon the linear model.Schramm, W. (1954). How communication works. In W. Schramm (Ed. ), The process and effects of communication (pp. 3–26). Urbana, IL: University of Illinois Press. Schramm added three major components to the Shannon and Weaver model. First, Schramm identified two basic processes of communication: encoding and decoding. EncodingThe process a source goes through when creating a message, adapting it to the receiver, and transmitting it across some source-selected channel. is what a source does when “creating a message, adapting it to the receiver, and transmitting it across some source-selected channel.”Wrench, J. S., McCroskey, J. C., & Richmond, V. P. (2008). Human communication in everyday life: Explanations and applications. Boston, MA: Allyn & Bacon, p. 17. When you are at home preparing your speech or standing in front of your classroom talking to your peers, you are participating in the encoding process. The second major process is the decodingSensing a source’s message (through the five senses), interpreting the source’s message, and evaluating the source’s message. process, or “sensing (for example, hearing or seeing) a source’s message, interpreting the source’s message, evaluating the source’s message, and responding to the source’s message.”Wrench, J. S., McCroskey, J. C., & Richmond, V. P. (2008). Human communication in everyday life: Explanations and applications. Boston, MA: Allyn & Bacon, p. 17. Decoding is relevant in the public speaking context when, as an audience member, you listen to the words of the speech, pay attention to nonverbal behaviors of the speaker, and attend to any presentation aids that the speaker uses. You must then interpret what the speaker is saying. Although interpreting a speaker’s message may sound easy in theory, in practice many problems can arise. A speaker’s verbal message, nonverbal communication, and mediatedThe use of some form of technology that intervenes between a source and a receiver of a message. 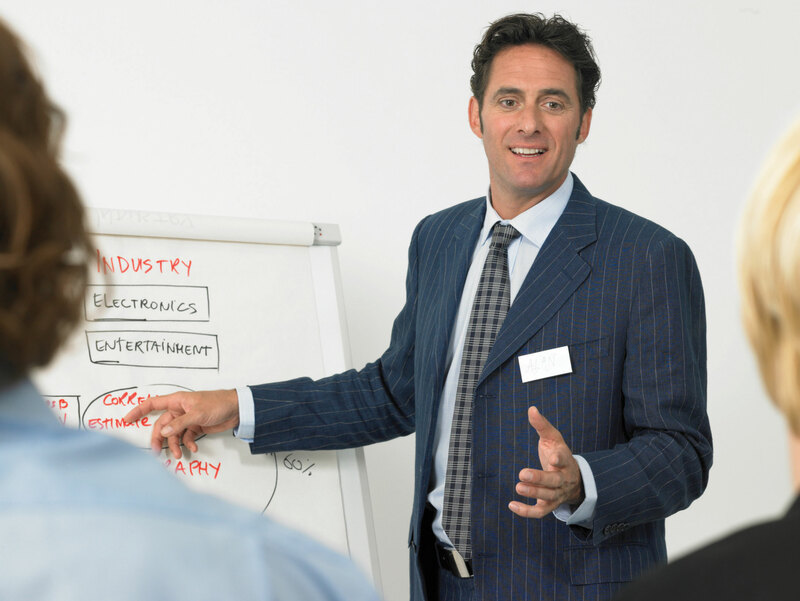 presentation aids can all make a messageAny verbal or nonverbal stimulus that is meaningful to a receiver. either clearer or harder to understand. For example, unfamiliar vocabulary, speaking too fast or too softly, or small print on presentation aids may make it difficult for you to figure out what the speaker means. Conversely, by providing definitions of complex terms, using well-timed gestures, or displaying graphs of quantitative information, the speaker can help you interpret his or her meaning. Once you have interpreted what the speaker is communicating, you then evaluate the message. Was it good? Do you agree or disagree with the speaker? Is a speaker’s argument logical? These are all questions that you may ask yourself when evaluating a speech. The last part of decoding is “responding to a source’s message,” when the receiver encodes a message to send to the source. When a receiver sends a message back to a source, we call this process feedbackA receiver’s observable verbal and nonverbal responses to a source’s message.. Schramm talks about three types of feedback: direct, moderately direct, and indirect.Schramm, W. (1954). How communication works. In W. Schramm (Ed. ), The process and effects of communication (pp. 3–26). Urbana, IL: University of Illinois Press. 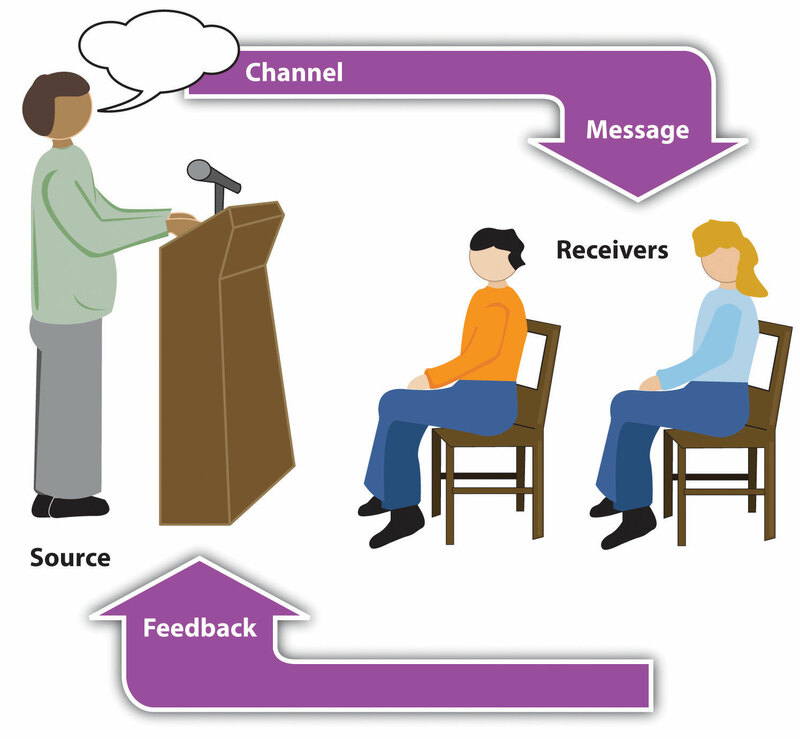 The first type, direct feedback, occurs when the receiver directly talks to the source. For example, if a speech ends with a question-and-answer period, listeners will openly agree or disagree with the speaker. The second type of feedback, moderately direct, focuses on nonverbal messages sent while a source is speaking, such as audience members smiling and nodding their heads in agreement or looking at their watches or surreptitiously sending text messages during the speech. The final type of feedback, indirect, often involves a greater time gap between the actual message and the receiver’s feedback. For example, suppose you run for student body president and give speeches to a variety of groups all over campus, only to lose on student election day. Your audiences (the different groups you spoke to) have offered you indirect feedback on your message through their votes. One of the challenges you’ll face as a public speaker is how to respond effectively to audience feedback, particularly the direct and moderately direct forms of feedback you receive during your presentation. One of the biggest concerns that some people have with the interactional model of communication is that it tends to place people into the category of either source or receiver with no overlap. Even with Schramm’s model, encoding and decoding are perceived as distinct for sources and receivers. Furthermore, the interactional model cannot handle situations where multiple sources are interacting at the same time.Mortenson, C. D. (1972). Communication: The study of human communication. New York, NY: McGraw-Hill. To address these weaknesses, Dean Barnlund proposed a transactional model of communication.Barnlund, D. C. (2008). A transactional model of communication. In C. D. Mortensen (Ed. ), Communication theory (2nd ed., pp. 47–57). New Brunswick, NJ: Transaction. The basic premise of the transactional model is that individuals are sending and receiving messages at the same time. 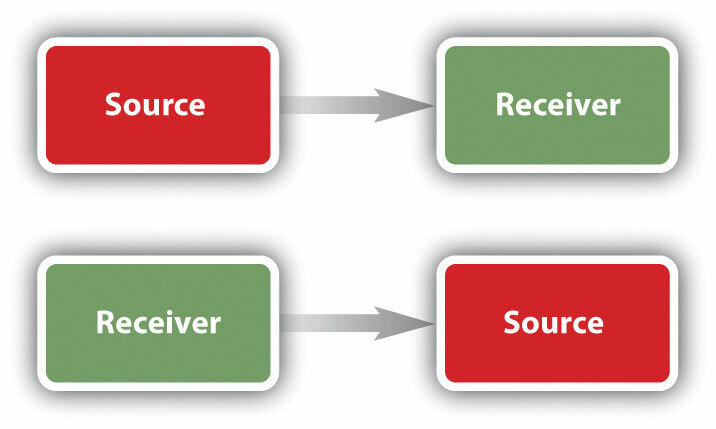 Whereas the interactional model has individuals engaging in the role of either source or receiver and the meaning of a message is sent from the source to the receiver, the transactional model assumes that meaning is cocreated by both people interacting together. The idea that meanings are cocreated between people is based on a concept called the “field of experience.” According to West and Turner, a field of experience involves “how a person’s culture, experiences, and heredity influence his or her ability to communicate with another.”West, R., & Turner, L. H. (2010). Introducing communication theory: Analysis and application (4th ed.). New York, NY: McGraw-Hill, p. 13. Our education, race, gender, ethnicity, religion, personality, beliefs, actions, attitudes, languages, social status, past experiences, and customs are all aspects of our field of experience, which we bring to every interaction. For meaning to occur, we must have some shared experiences with our audience; this makes it challenging to speak effectively to audiences with very different experiences from our own. Our goal as public speakers is to build upon shared fields of experience so that we can help audience members interpret our message. Dialogue is more natural than monologue. Meanings are in people not words. Contexts and social situations impact perceived meanings.Bakhtin, M. (2001a). The problem of speech genres. (V. W. McGee, Trans., 1986). In P. Bizzell & B. Herzberg (Eds. ), The rhetorical tradition (pp. 1227–1245). Boston, MA: Bedford/St. Martin’s. (Original work published in 1953. ); Bakhtin, M. (2001b). Marxism and the philosophy of language. (L. Matejka & I. R. Titunik, Trans., 1973). In P. Bizzell & B. Herzberg (Eds. ), The rhetorical tradition (pp. 1210–1226). Boston, MA: Medford/St. Martin’s. (Original work published in 1953). The first tenet of the dialogic perspective is that communication should be a dialogue and not a monologue. Lev Yakubinsky argued that even public speaking situations often turn into dialogues when audience members actively engage speakers by asking questions. He even claimed that nonverbal behavior (e.g., nodding one’s head in agreement or scowling) functions as feedback for speakers and contributes to a dialogue.Yakubinsky, L. P. (1997). On dialogic speech. (M. Eskin, Trans.). PMLA, 112(2), 249–256. (Original work published in 1923). Overall, if you approach your public speaking experience as a dialogue, you’ll be more actively engaged as a speaker and more attentive to how your audience is responding, which will, in turn, lead to more actively engaged audience members. Part of the dialogic process in public speaking is realizing that you and your audience may differ in how you see your speech. Hellmut Geissner and Edith Slembeck (1986) discussed Geissner’s idea of responsibility, or the notion that the meanings of words must be mutually agreed upon by people interacting with each other.Geissner, H., & Slembek, E. (1986). Miteinander sprechen und handeln [Speak and act: Living and working together]. Frankfurt, Germany: Scriptor. If you say the word “dog” and think of a soft, furry pet and your audience member thinks of the animal that attacked him as a child, the two of you perceive the word from very different vantage points. As speakers, we must do our best to craft messages that take our audience into account and use audience feedback to determine whether the meaning we intend is the one that is received. To be successful at conveying our desired meaning, we must know quite a bit about our audience so we can make language choices that will be the most appropriate for the context. Although we cannot predict how all our audience members will interpret specific words, we do know that—for example—using teenage slang when speaking to the audience at a senior center would most likely hurt our ability to convey our meaning clearly. Russian scholar Mikhail Bahktin notes that human interactions take place according to cultural norms and rules.Bakhtin, M. (2001a). The problem of speech genres. (V. W. McGee, Trans., 1986). In P. Bizzell & B. Herzberg (Eds. ), The rhetorical tradition (pp. 1227–1245). Boston, MA: Bedford/St. Martin’s. (Original work published in 1953. ); Bakhtin, M. (2001b). Marxism and the philosophy of language. (L. Matejka & I. R. Titunik, Trans., 1973). In P. Bizzell & B. Herzberg (Eds. ), The rhetorical tradition (pp. 1210–1226). Boston, MA: Medford/St. Martin’s. (Original work published in 1953). How we approach people, the words we choose, and how we deliver speeches are all dependent on different speaking contexts and social situations. On September 8, 2009, President Barack Obama addressed school children with a televised speech (http://www.whitehouse.gov/mediaresources/PreparedSchoolRemarks). If you look at the speech he delivered to kids around the country and then at his speeches targeted toward adults, you’ll see lots of differences. These dissimilar speeches are necessary because the audiences (speaking to kids vs. speaking to adults) have different experiences and levels of knowledge. Ultimately, good public speaking is a matter of taking into account the cultural background of your audience and attempting to engage your audience in a dialogue from their own vantage point. Considering the context of a public speech involves thinking about four dimensions: physical, temporal, social-psychological, and cultural.DeVito, J. A. (2009). The interpersonal communication book (12th ed.). Boston, MA: Allyn & Bacon. The physical dimension of communication involves the real or touchable environment where communication occurs. For example, you may find yourself speaking in a classroom, a corporate board room, or a large amphitheater. Each of these real environments will influence your ability to interact with your audience. Larger physical spaces may require you to use a microphone and speaker system to make yourself heard or to use projected presentation aids to convey visual material. How the room is physically decorated or designed can also impact your interaction with your audience. If the room is dimly lit or is decorated with interesting posters, audience members’ minds may start wandering. If the room is too hot, you’ll find people becoming sleepy. As speakers, we often have little or no control over our physical environment, but we always need to take it into account when planning and delivering our messages. According to Joseph DeVito, the temporal dimension “has to do not only with the time of day and moment in history but also with where a particular message fits into the sequence of communication events.”DeVito, J. A. (2009). The interpersonal communication book (12th ed.). Boston, MA: Allyn & Bacon, p. 13. The time of day can have a dramatic effect on how alert one’s audience is. Don’t believe us? Try giving a speech in front of a class around 12:30 p.m. when no one’s had lunch. It’s amazing how impatient audience members get once hunger sets in. In addition to the time of day, we often face temporal dimensions related to how our speech will be viewed in light of societal events. Imagine how a speech on the importance of campus security would be interpreted on the day after a shooting occurred. Compare this with the interpretation of the same speech given at a time when the campus had not had any shootings for years, if ever. Another element of the temporal dimension is how a message fits with what happens immediately before it. For example, if another speaker has just given an intense speech on death and dying and you stand up to speak about something more trivial, people may downplay your message because it doesn’t fit with the serious tone established by the earlier speech. You never want to be the funny speaker who has to follow an emotional speech where people cried. Most of the time in a speech class, you will have no advance notice as to what the speaker before you will be talking about. Therefore, it is wise to plan on being sensitive to previous topics and be prepared to ease your way subtly into your message if the situation so dictates. The social-psychological dimension of context refers to “status relationships among participants, roles and games that people play, norms of the society or group, and the friendliness, formality, or gravity of the situation.”DeVito, J. A. (2009). The interpersonal communication book (12th ed.). Boston, MA: Allyn & Bacon, p. 14. You have to know the types of people in your audience and how they react to a wide range of messages. The final context dimension Joseph DeVito mentions is the cultural dimension.DeVito, J. A. (2009). The interpersonal communication book (12th ed.). Boston, MA: Allyn & Bacon. When we interact with others from different cultures, misunderstandings can result from differing cultural beliefs, norms, and practices. As public speakers engaging in a dialogue with our audience members, we must attempt to understand the cultural makeup of our audience so that we can avoid these misunderstandings as much as possible. Each of these elements of context is a challenge for you as a speaker. Throughout the rest of the book, we’ll discuss how you can meet the challenges presented by the audience and context and become a more effective public speaker in the process. Getting your message across to others effectively requires attention to message content, skill in communicating content, and your passion for the information presented. The interactional models of communication provide a useful foundation for understanding communication and outline basic concepts such as sender, receiver, noise, message, channel, encoding, decoding, and feedback. The transactional model builds on the interactional models by recognizing that people can enact the roles of sender and receiver simultaneously and that interactants cocreate meaning through shared fields of experience. 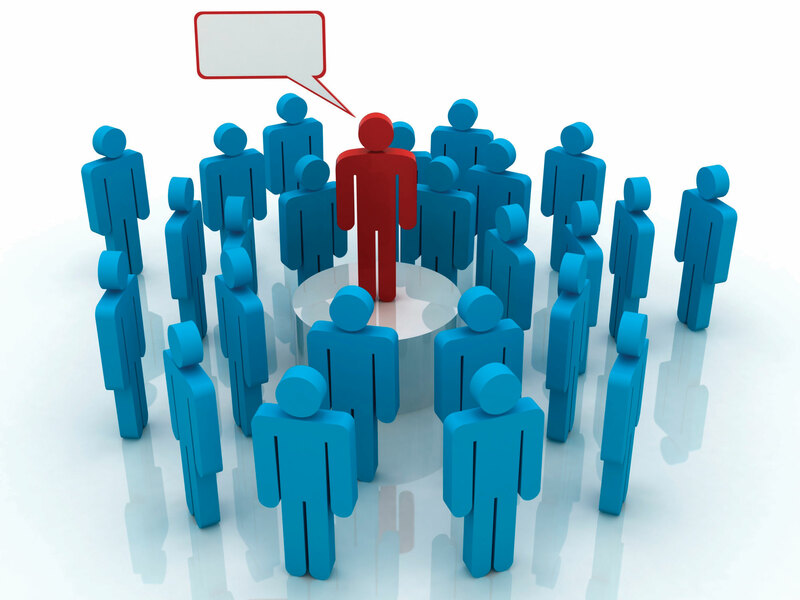 The dialogic theory of public speaking understands public speaking as a dialogue between speaker and audience. This dialogue requires the speaker to understand that meaning depends on the speaker’s and hearer’s vantage points and that context affects how we must design and deliver our messages. Draw the major models of communication on a piece of paper and then explain how each component is important to public speaking. When thinking about your first speech in class, explain the context of your speech using DeVito’s four dimensions: physical, temporal, social-psychological, and cultural. How might you address challenges posed by each of these four dimensions?